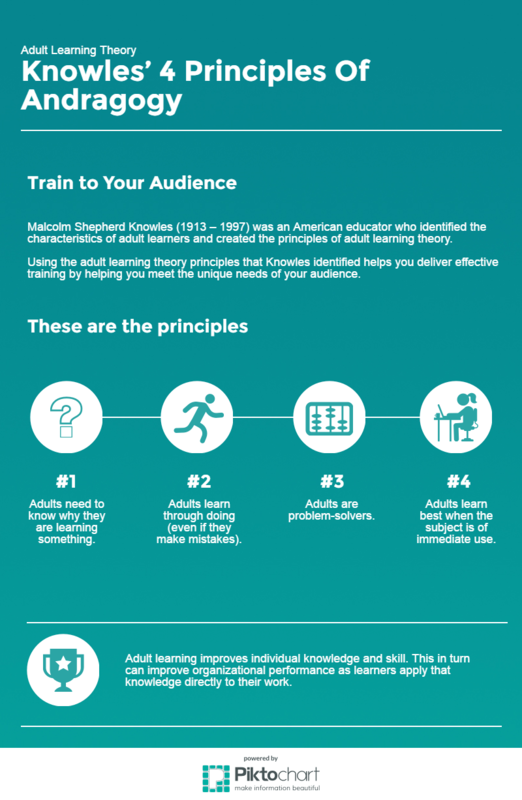 While I’m not a big fan of the word “andragogy,” and I cringe when I hear folks in and out of the L&D world talk about how they’re qualified as learning professionals because they understand “adult learning theory,” there is obviously important application of the concept. Semantic satiation aside. They understand why they’re learning something new. They get a chance to try things, make mistakes, and try again. The new knowledge helps them solve current problems. And they can apply the new information right away. What is also interesting is that the same principles apply when teaching adolescents and children (pedagogy), so I’ve never understood the need for two different theories of learning. But perhaps that can be a post for a different time.